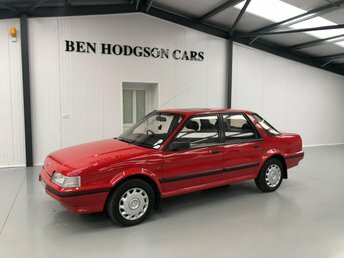 Here at Ben Hodgson you're best placed to get a great deal on a used Rover in Carlisle and to be able to drive off in a reliable pre-owned car. As a leading supplier of second-hand vehicles we're able to offer excellent choice and trustworthy advice. But a used Rover from Ben Hodgson and we'll be there to offer support long after you've driven off our forecourt. Take the opportunity to browse our latest range of used Rover cars here on the website and be sure to pay a visit to our showroom for a closer look. Arranging a test drive in the model of your choice is simple ? just contact a member of the team to discuss your requirements in more detail.